Cutting the grass can be a tiresome and boring process. 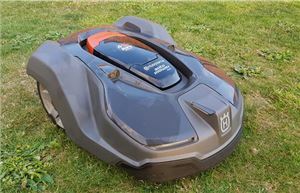 Fortunately, these days, there’s a rapidly expanding range of robot lawnmowers on offer that can alleviate the drudgery of cutting your grass by simply doing it for you. In most cases all you have to do is pick a unit that suits your garden, install its perimeter guide wire, set it up and leave it to its own devices. It’ll then pop out, as per its schedule, and keep the grass trimmed to the desired length. There are a lot of automowers on the market, though, so here are ten of the best to help narrow down your options. This is a great package for those with mid-sized gardens; it’s designed for an area of up to 400m², has an adjustable cutting height of 20-50mm and can deal with moderately steep slopes. 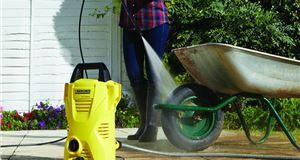 It’s packed with safety and sensing systems, too, like most robot mowers – and it can cut in the rain as well. It’s also very quiet, so you can even set it up to cut at night without any worries about annoying your neighbours. While you won’t find any bargains here, you will get a high-quality product that does exactly what you expect to. 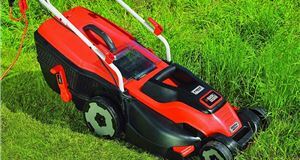 Although, this HRM3000 model could actually make the most financial sense if your lawn is big enough to need a ride-on mower. Miimo squares up incredibly well on price here, as even Honda's base-model ride-on will set you back £3000+. 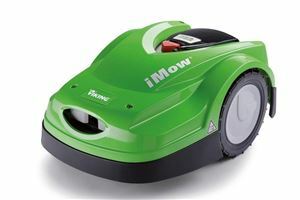 During the mowing season, it wouldn’t be unusual to spend £60-£70 on fuel, plus £250-£300 on a service — whereas the Miimo can charge itself, again and again, all year long for around £15 and requires next to no maintenance. Alternatively, if you have someone who comes in to cut your lawn, this mower should pay for itself within about three years. The Automower 450X is a robot lawnmower that automatically takes care of trimming the grass. And, once set up, you can just forget about it. It isn't cheap, but it is one that makes good financial sense for those with larger gardens. From the moment it was set up, it was faultless — and the results are impressive too. 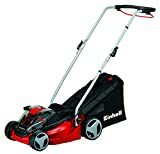 If you're thinking of getting a mower, this would be our pick. The Honda Miimo is also excellent though. The 450X can also ‘learn’ your garden, find out where the obstacles are and adjust its routes accordingly via GPS. Security is another big plus, with the Automower being protected in three ways. Aside from having a tracker onboard, the mower is also pin protected — lift up the 450X and sensors will register that it’s off the ground and sound an ear-piercing alarm. After that, you will need to input a four-digit PIN to unlock it. Finally, report it stolen to Husqvarna it will become blacklisted and won’t ever be able to pair with a docking station in the future. The SA500ECO is a great choice for those with smaller gardens that feature steep inclines, as this agile mower can deal with big gradients. Cutting height ranges from 20-60mm, giving you a little more flexibility than the Husqvarna, and it’s otherwise very straightforward to operate. Once you’ve laid down the perimeter lines that identify the cutting areas, you’ve only got to enter cutting hours – and it’ll do the rest, regardless of light or weather conditions. If you’ve got a relatively flat and compact garden that’s around 200m² in size, the app-controlled RX20U could be just the ticket. 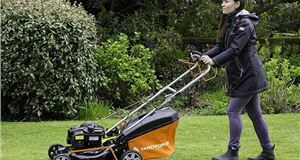 It’s a very manoeuvrable mower, making it perfect for complicated gardens, while its floating cutting desk delivers a neat, level trim. It can travel between separate lawns, too, so you shouldn’t need to pick it up at any point. 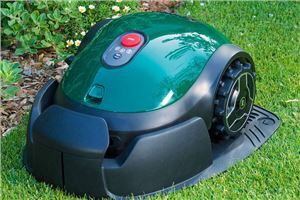 Robomow also sells bigger versions, such as the RS625 Pro X, for those with more grass to cut. 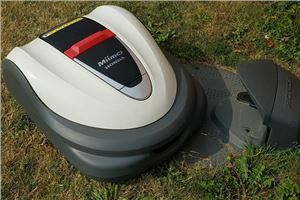 This robot mower, which can look after a garden of around 2200m² in size, is a good pick for those seeking a heavy-duty option. For starters, it has a cutting height that ranges from 19-102mm. It’s also weatherproof and capable of tackling steeper gradients than some of its rivals. 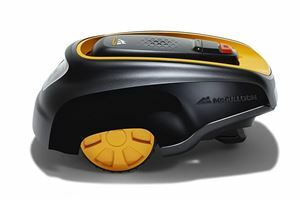 Other neat features include ‘corridor docking’, which allows the charging station to be placed away from the lawn – keeping the mower out of sight when it’s inactive. Many robot mowers will only cut near to the border of your lawn, as their blades can’t reach that far without the mower venturing off the grass. 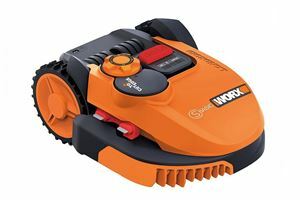 Worx’s Landroid S, however, can cut almost right up to the edge, leaving you with far less trimming to do if you want a perfect lawn. 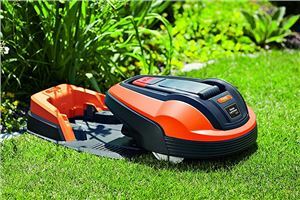 Bigger versions are offered but this can maintain a 350m² garden; it doesn’t require programming, either, and also benefits from a compact base station. This brand is part of the vast Stihl group, which has produced garden and forestry equipment since the 1920s. 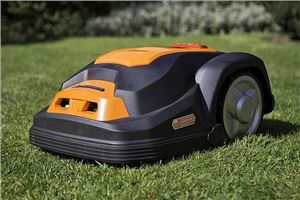 It now offers a line-up of Viking-branded robotic mowers, of which the MI 632 is the mid-range model. It can cover up to 3000m², cuts between 20-60mm and can deal with steep gradients, making it well suited to rougher, larger gardens. A neat removable control panel makes it easy to programme, too, and once configured it’s otherwise fully automatic. Those seeking a straightforward automower for gently sloping areas up to 1000m² would do well to consider the ROB R1000 – which comes from garden equipment experts McCulloch. 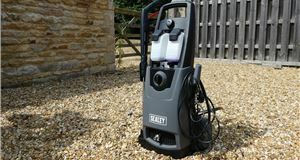 Its cutting height ranges from 20-50mm, it can cut in the rain and its integrated programming controls make it easy to set up. The R1000 has a lift sensor-based alarm, too, but even if someone does steal it then the integrated PIN will stop it working. 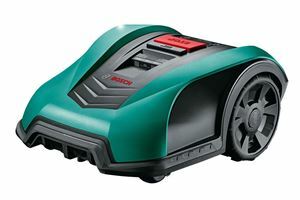 This efficient Bosch mower is designed for lawns of around 400m². 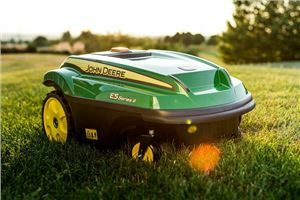 What’s particularly appealing is, as is the case in some other models, that it has an app-based control system; this allows you to remotely start or stop mowing, alter schedules or simply make sure the mower is functioning. The Indego also, unlike many rivals, comes with a three-year warranty – so you don’t need to worry about being hit with a bill if it suddenly packs up. 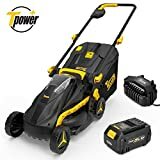 Shopping for a good mains-powered mower? Here are some of the best corded lawnmowers around.